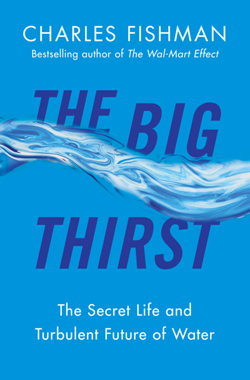 In this installment, “The Big Thirst” author and Fast Company writer explains how every drop of water you’ll ever know, from the spigot to the toilet, is about 4.3 billion years old. Facts: Two things about water are indisputable. Water is the most familiar substance in our lives, its look and feel and appeal as routine as the spray of the shower or the splash of the kitchen faucet. And water is the most important substance in our lives, every cell in every part of our bodies plumped full of water, every thought–including thoughts about water–every heartbeat, possible only because of the cascade of chemistry that has water as its starting point. Given our familiarity with and our utter dependence on water, what’s surprising is how illiterate we are of even some of the water basics. 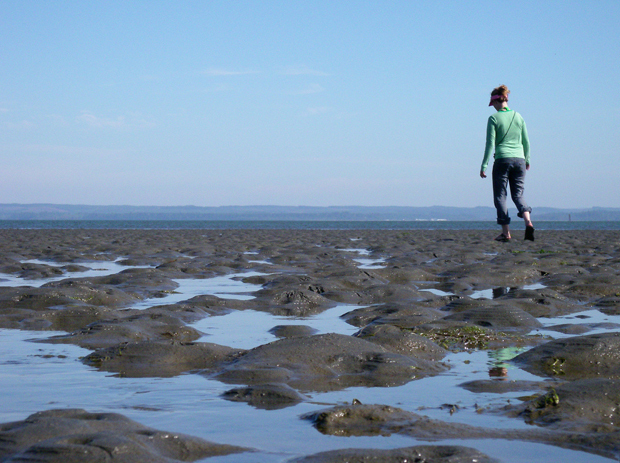 We’re not just water illiterate, we’re incurious about water. The first question that really surprised me in the course of three years of reporting a book about water was, Where did the water on Earth come from? The surprise was that, in decades of schooling and reporting and reading, it had never even occurred to me to ask such a simple question. All the water on Earth was formed in the vast, interstellar clouds of dust that are the birthplaces of new stars. The water is formed, literally, one molecule at a time. Hydrogen is the most common element in the universe, and oxygen is No. 3–and they get together quite readily. Space, in fact, turns out to be quite wet (as we’re learning, with even the bone-dry Moon having iceberg-sized quantities of water hidden in the craters at its poles). On Earth, although plants and animals routinely take water apart and reassemble it as part of ordinary biology, the total water balance doesn’t change. There is no mechanism for making new water, or destroying the water we’ve got. The water in your toilet, the water coming from your bathroom faucet, is all about 4.3 billion years old. It’s the oldest stuff you’re ever going to encounter, by far. And unlike most everything else on Earth, it was actually delivered here in exactly the form we find it every day: H2O. Water is truly cosmic juice. Your saliva (99.5 percent water) was born in the Milky Way. But that’s not just a curiosity. It’s at the heart of both the nature of water, and of our relationship to it. Water is the most resilient, the most renewable, resource we have. Water’s reusability is unique–it emerges from literally everything we do with it, everything we do to it, as simply … water. Whether it was used on a farm, in a factory, in the body of a toddler or a crocodile, or in a volcano–it’s still water. You can’t reuse the diesel fuel you needed to plant the rice as diesel fuel again. The water might end up dirty, but once you clean it again, it’s back to its usual self. We aren’t “running out” of water, because we have as much as we’ve ever had, as much as we’ll ever have. And we certainly have enough, if we start to use it smartly. Water’s resilience has a second, equally important point. The whole debate about “toilet to tap” is–in water terms, at least–completely silly. It’s another element of our water illiteracy, in fact, that we are so removed from how water is cleaned and treated that we’d be suspicious of cities re-purifying their wastewater and re-using it. We eat at restaurants and “re-use” the silverware (that was in the mouths of strangers just yesterday, if not earlier today) without a thought. We stay in hotels, using the towels and sheets wrapped around the bodies of strangers last week, without hesitation. Whatever place you find least appealing to imagine your water, well, it’s been there. More than once. Every drop of water has a rich history–but as with the silverware or the plush towel, the question with water isn’t where it’s ever been, but how it’s been cleaned since then.